Designer, developer, product owner or product visionary? If you want to build a successful product, you need to start by successfully communicating your vision. 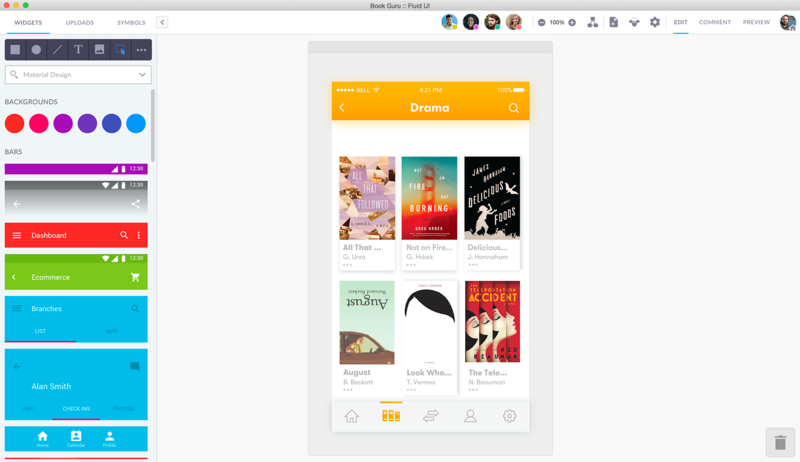 With Fluid UI, ideas can be prototyped in minutes and shared instantly. Sharing, feedback and collaboration are all built in. Start with a free account and unlock your creativity. What’s in your mind and what people understand are often worlds apart. A good prototype paints a thousand pictures. It connects the dots for everyone to see. Time is short too. There’s a lot to get done. That’s why Fluid UI focuses on fast, easy and fun. We know it’s the right way to present your ideas successfully to the world. "Check out @FluidUI for the best prototyping software I have ever used." Use a comprehensive set of pre-built UI Kits for Material Design, iOS, Wireframing and more. Real time collaboration lets your entire team work together on the same prototype at the same time. 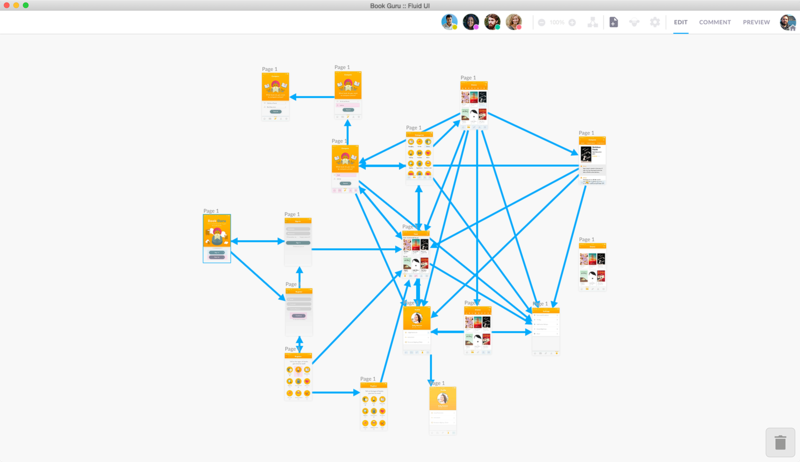 Visually linking your prototype together makes adding interactions fast, fun and productive. Prototype in high or low fidelity. Fluid UI supports whatever style you need. Prototypes can be accessed in the desktop app or by logging in to a browser any time. Test your prototypes on any mobile or tablet with the free player apps. Please visit Fluid UI on your desktop to start prototyping. Or download the desktop client.